The Spring Lake Public Schools is conducting its annual CHILD FIND PRESCHOOL SCREENING in April. Who will be screened? All children from the Spring Lake School District who are three (3) years old or who turned four (4) after September 1, 2016 are eligible to be screened. What is the purpose of the screening? The purpose of this screening is to assure parents that their children are developing normally and to identify children who may have learning needs. What does the screening involve? The screening takes approximately one hour. Each child is screened in the areas of language, concepts, socialization, fine and gross motor skills by the Child Find Preschool Team. When and where will the screening be held? Pleas call Pam Massucci at 846-9240 ext. 3506 or email pmassucci@springlakeschools.org . Spaces are limited so please call or email by April 17 to reserve a space. NOTE: This preschool screening is NOT needed to enroll your child in preschool, it is a service offered by our district to assure parents that their child is developing normally and to identify children who may have learning needs. Due to limited spaces, you must live in the Spring Lake School District in order for your child to participate in this preschool screening. If you have a concern about your child’s development please notify the school district in which you reside. This entry was posted in Spring Lake on March 28, 2017 by editor. 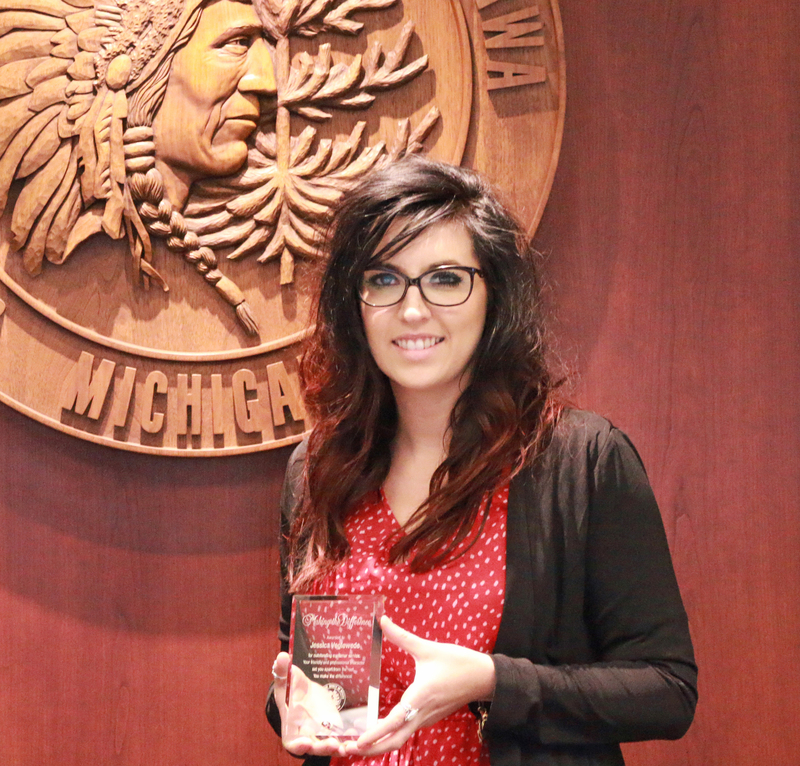 Ottawa County’s Adult Drug Treatment Court Nationally Recognized for Exemplary Practices. The 20th Circuit Court has given Ottawa County another reason to boast. Its Adult Drug Treatment Court, a specialty program for non-violent felony offenders with substance use disorders, has been selected as a “mentor court” by the United States Department of Justice and the National Association of Drug Court Professionals. This distinction is awarded to high-performing drug courts that demonstrate exemplary practices and operate with fidelity to the drug court model. Only 9 of 3,000 courts in the US were chosen for this award. An award ceremony will be held on Thursday, April 13 at 11AM in Courtroom 3B of the Ottawa County Grand Haven Courthouse. The ceremony is open to the public. “With thousands of drug courts in operation across the United States, this honor really speaks to the quality and integrity of the work our drug court is doing,” said Judge Mark A. Feyen. “Even more affirming is that this award comes on the heels of being nationally recognized by the Substance Abuse and Mental Health Services Administration in 2016 in a webinar discussing how drug courts are leading the way in criminal justice reform,” said Feyen. The drug court will hold the “mentor court” distinction for the next three years. “As a mentor court we will have the opportunity to host other drug court programs from around the United States, provide consulting and technical assistance to drug courts, and participate in national drug court planning and policy initiatives,” said Drug Court Coordinator, Andy Brown. “This is an outstanding opportunity to showcase the work of our drug court and advance the reputation of Ottawa County and the 20th Circuit Court,” said Brown. The Ottawa County Adult Drug Treatment Court is an alternative to traditional incarceration or probation and is eligible for only certain offenders. The method saves money, lowers recidivism and changes lives. A study conducted by Grand Valley State University in 2014 demonstrated the adult drug treatment court significantly reduced new crime and repeated drug and alcohol use among offenders. Drug court participants were 73% less likely to commit a new crime within three years of discharge from the drug court when compared to a similar group of people who were sentenced to traditional probation. The drug court is funded by time-limited grants annually awarded by the Michigan Supreme Court, Department of Justice, and the Substance Abuse and Mental Health Services Administration. This entry was posted in Ottawa County on March 28, 2017 by editor. The Muskegon Museum of Art will present Edward S. Curtis: The North American Indian, an exhibition of national significance, May 11 through September 10, 2017. 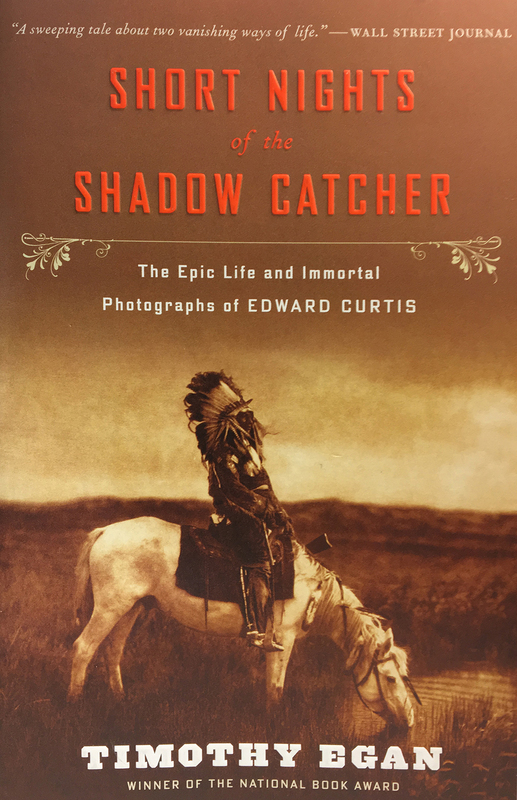 The exhibition celebrates the artistry and cultural legacy of early-1900s photographer Edward Curtis. The entire collection of 723 portfolio photographs from The North American Indian will be on display. This in-depth survey of Curtis’s iconic body of work will also examine the challenges and controversies that the work generated from the start. The MMA is collaborating with a wide array of cultural partners presenting special programs—films, lectures, and events—to enhance understanding of Curtis’s masterpiece and Native American culture. A Community Read book give-away and book discussion groups sponsored by area libraries and the MMA kick off the program schedule. Area libraries will give away books, while supplies last, compliments of the Muskegon Museum of Art. Books are available at Muskegon Area District Library branches, Hackley Public Library, White Lake Community Library, Loutit District Library, and Spring Lake District Library. Books may also be purchased at the MMA. Book discussions will take place April 5 through May 4 at the library branches, Muskegon Museum of Art, and at the Book Nook and Java Shop in Montague. See the full list of The North American Indian exhibition programs, including the book discussion schedule and locations, at http://www.muskegonartmuseum.org/edward-curtis-north-american-indian. The Muskegon Museum of Art is located at 296 W. Webster Ave., Muskegon, MI 49440. Call 231-720-2580 or visit www.muskegonartmuseum.org for more information. This entry was posted in Calendar of Events on March 28, 2017 by editor. Ottawa and Allegan Parks and Recreation and Department of Public Health are teaming up to bring the community another Step it Up! Walking Challenge this spring. 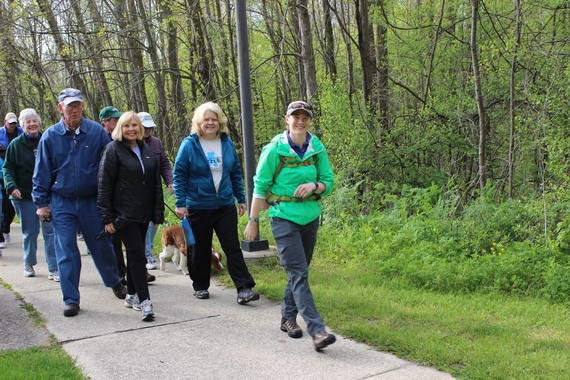 This spring, participants will “virtually walk” 240 miles along regional trails in Michigan. The challenge begins on Monday, April 3! Don’t miss the USS Silversides Lecture Series, Mondays in March! March 27, it’s Meg Jones, Milwaukee journalist and author of “World War II Milwaukee!” All lectures begin at 6:00pm. The cost is $5.00 per person or FREE with your USS Silversides Submarine Museum membership. For more information, visit www.silversidesmuseum.org. Come to the Frauenthal Center March 28 – 30 as the Pigeon Creek Shakespeare Company performs “Much Ado About Nothing!” The sparkling battle of wits between reluctant lovers Beatrice and Benedick has made Much Ado About Nothing one of the Bard’s most beloved comedies. While their closest friends conspire to trick them into admitting their feelings, the villainous Don John works to destroy the relationship of Beatrice’s cousin Hero by convincing her finace she’s been unfaithful. Can the bumbling city watch lead by the clownish Dogberry unravel the web of lies and misunderstandings in time to save the day? Shows on the 28th, 29th, and 30th are Matinee performances at 10:00am aimed at local high school and middle school student groups. The show will be 90 minutes with no intermission, with time after the performance to students to talk with the actors and ask questions. The show on Thursday Night, the 30th, is open to the public and will include a 15 minute intermission. Tickets: March 28-30 10:00am: $5, March 30 7:00pm: $14 for adults, $7 for students and seniors. Visit them online at www.pcshakespeare.com for more information. Tuesday, March 28 from 12:15pm – 12:45pm, everyone is invited to St. Paul’s Episcopal Church in Downtown Muskegon for the Feeding the Soul of the City lunchtime concert featuring Pablo Mahave-Veglia on cello and the Grand Valley State University Orchestra. Cellist Pablo Mahave-Veglia’s repertoire includes early baroque music played on period instruments. He will perform the music of Haydn and other classical pieces along with the GVSU Orchestra. For more information, call (231) 722-2112. Tuesday, March 28 at 6:00pm, come to Hackley Public Library for “Music Goes to War!” Kurt Troutman, a professor at Muskegon Community College, will present “Clarence Zylman-Muskegon’s Boogie Woogie Bugle Boy.” Mr. Zylman was the inspiration for the Andrew Sister’s WW II classic song (written by Don Raye), Boogie Woogie Bugle Boy of Company B.
Clarence was a lifelong Muskegon native (1906-1988) with a unique story to share. Born in Muskegon and trained on the streets of Chicago, he toured the country as a professional trumpeter helping to lead a musical revolution: Boogie-Woogie Swing dance music. Drafted into the Army, he served his country as a bugler. Playing reveille in his own boogie-woogie style, he became a military legend. Stars and Stripes, the London Times, Newsweek and over 30 newspapers promoted him as the bugler who got the troops up with a jitterbug in their step. Brought to you through the generosity of the Friends of Hackley Library. For more information, call (231) 722-7276. A lecture series about the history and restoration of Muskegon Lake is being conducted at the Lakeshore Museum Center. This series is being held in conjunction with the Shifting Shoreline exhibit on display at the Lakeshore Museum Center through June. The exhibit examines the changes that have occurred to Muskegon Lake over the past 200 years and the efforts to restore the lake. March 28: Muskegon Lake as a NOAA Habitat Focus Area by Terry Heatlie, Habitat Restoration Specialist with NOAA. He will discuss the work done on Muskegon Lake as a Habitat Focus Area and what that could mean for the future of Muskegon Lake Area of Concern (AOC). The lake was designated an AOC in 1985 by the EPA due to water quality and habitat problems. The lectures are free and begin at 6:00pm in the Museum auditorium. Registration is requested by calling 231-722-0278. “Incoming!” is a NEW SHOW at the Carr-Fles Planetarium, where you can zoom past rocky asteroids and icy comets, all the way to Pluto, and discover how they have changed the course of life on Earth. This free program runs Tuesdays and Thursdays at 7:00pm, January 10 – February 24 and March 7 – 30 (no shows February 28 or March 2 for college spring break). Doors open by 6:45pm and no reservations are needed. The planetarium is in room 135 of Muskegon Community College. For more information, or to schedule a private show for groups of 15-44, please call 231-777-0289 or email tamera.owens@muskegoncc.edu. The Arts Council of White Lake’s Music Presents series for 2017 features wonderful and engaging presenters! The last Tuesday of the month through May, showcases a wide variety of expertise and talent. March 28, poet Garrett Potter will talk about “The Spoken Word” in celebration of Poetry Month in April. Mark your calendar for more great, engaging presentations are coming this spring! Each 7:00pm presentation will take place at Arts Council of White Lake at the Nuveen Center. Admission is $5 at the door. Refreshments will be served. For more information, please visit them online at www.artswhitelake.org. On Wednesday, March 29 at 5:30pm, the USS Silversides Submarine Museum will be hosting the 8th Honoring Our Veterans Dinner in Honor of the Tuskegee Airmen. The evening includes the presentation of the Dr. Robert E. Garrison Award to an African-American veteran who not only served his or her country in the military, but has also continued to serve this community after their military service. This year’s recipient is Gloria White Gardner. Individual tickets are $30 a piece. To purchase tickets or tables via the website, visit www.silversidesmuseum.org. Filled with sliced potatoes, cheese and a touch of smoked salmon, this versatile dish is perfect for a Mid-Winter nights or Sunday brunch. The ease of preparation makes this dish one that you can prepare the night before or freeze and save for a later date. Bring your appetite! Class Size limited to 15. The cost is $35. For more information or to register, call (231) 769-2202. Amber Mae Petersen is the owner and operator of The Fish Monger’s Wife, Muskegon’s Fresh and Smoked Fish Market. As working mother of two that loves good food but not the time it takes to prepare it, she has found freezer meals to be her salvation! Prepared freezer meals are the way only that she and her family eat a healthy, hot meal during the week! Friday, March 31 at 7:15pm, come to the L.C. Walker Arena as the Muskegon Lumberjacks take on the Bloomington Thunder! The Muskegon Lumberjacks are proud members of the United States Hockey League, the nations only Tier I junior hockey league and the leading producer of NCAA players and National Hockey League draft picks in the United States. The Lumberjacks’organization prides itself on developing not just premier hockey talent, but also exceptional young men outside the arena of sports. For more information, visit www.muskegonlumberjacks.com. Saturday, April 1 at 7:15pm, come to the L.C. Walker Arena as the Muskegon Lumberjacks take on the USNTDP U-18! The Muskegon Lumberjacks are proud members of the United States Hockey League, the nations only Tier I junior hockey league and the leading producer of NCAA players and National Hockey League draft picks in the United States. The Lumberjacks’organization prides itself on developing not just premier hockey talent, but also exceptional young men outside the arena of sports. For more information, visit www.muskegonlumberjacks.com. The Grand Valley State University Chamber Orchestra will perform a free concert on Sunday, April 2 at 7:30pm. This presentation by the Arts Council of White Lake’s Chamber Music Festival will take place at the United Methodist Church of Montague. Performing with the orchestra will be Pablo Mahave-Veglia, Associate Professor at Grand Valley State University. He will perform the Haydn Cello Concerto in C Major. This free concert will also serve as an unveiling of the 8th annual White Lake Chamber Music Festival, August 3 – 13. Free-will donations will help underwrite the 2017 Festival. More information about the Festival, including a full schedule, is available at www.whitelakechambermusicfestival.com. For more information and a list of upcoming events, call (231) 893-2524. Harbor Hospice staff and trained volunteers create a safe, stable environment for children to explore and express their grief, remember their loved one, and connect with others who have experienced a death. Children participate in traditional camp activities such as swimming, fishing, hiking, and campfires along with grief-tailored activities that teach healthy coping skills. 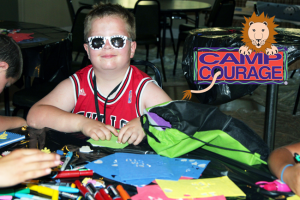 Camp Courage, an overnight camping experience for children ages 6-12 and teens 15-19, is held at Pioneer Trails on Big Blue Lake in Muskegon County beginning Friday, June 23, 2017 at 10:00 am through Sunday, June 25, 2017 at 2:00 pm. Application deadline is May 31, 2017. The only cost for camp is a one-time $10 registration fee. For more information or to register, contact Stephanie Weesies or Melanie Dekkers at 231.728.3442 or 800.497.9559 or email info@HarborHospiceMI.org or visit our website at HarborHospiceMI.org. This entry was posted in News Releases on March 27, 2017 by editor. This entry was posted in Fruitport Township on March 25, 2017 by editor. Please visit us soon. We hope you like it and find it interesting. We also welcome your comments and suggestions for changes/improvements which you can submit on the “Contact Us” page. This entry was posted in News Releases on March 25, 2017 by editor. On Monday the office is cold. Call maintenance. On Tuesday the office is hot. Call maintenance. On Wednesday, John says the office is hot and Jane says the office is cold. Call maintenance. Surely it takes a special personality to successfully carry out the role of Maintenance Technician at West Olive’s Fillmore Complex, serving hundreds of demanding customers. 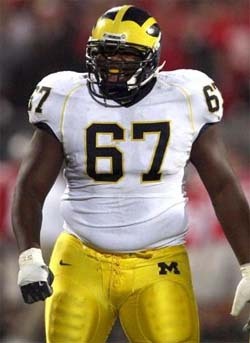 Meet Tom Camburn. Similarly, a unique demeanor is required to fill the role of Environmental Health Food Service Specialist. Inspections are required to ensure that food service establishments are adhering to safety standards designed to protect public health. As you can imagine, not every food service employee is delighted to see an inspector walk through the front door. Some inspectors, however, have just the finesse it takes to balance educating and inspecting. Those who have this skill put their customers running busy, past paced kitchens at ease. Meet Jessica Voglewede. Voglewede and Camburn, along with other Ottawa County employees are trained to present a friendly, professional demeanor treating customers with integrity and respect. This behavior is what earned both Camburn and Vogelwede each Outstanding Customer Service Awards from leaders in Ottawa County. 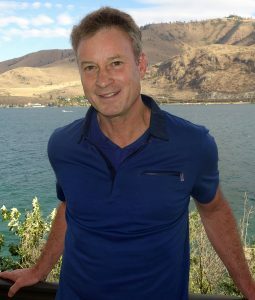 “Tom daily demonstrates the power of a cheerful smile, a positive outlook, dedication to his craft and a sincere joy of working with the many customers he serves. 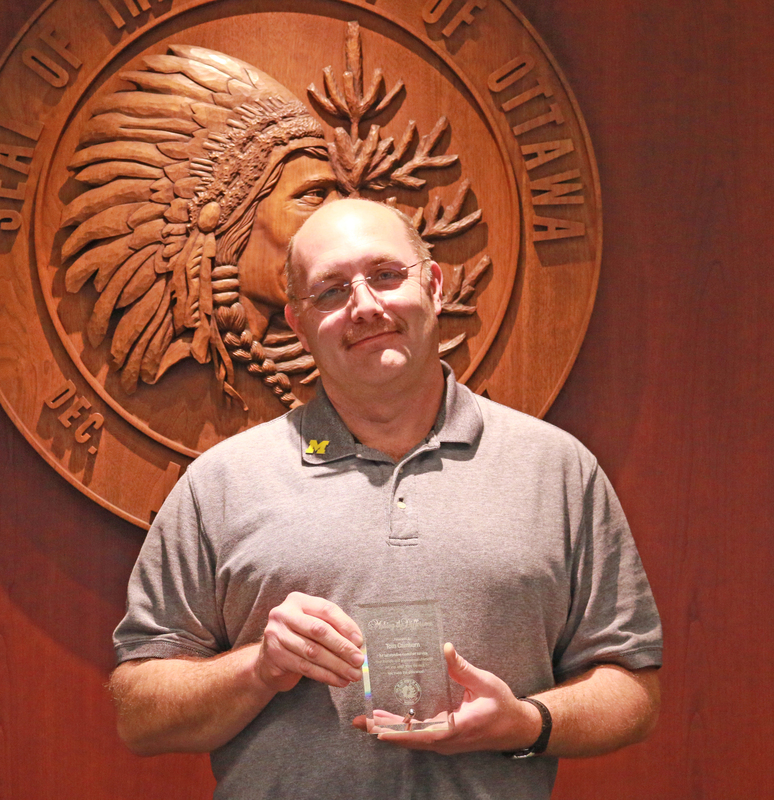 Tom Camburn truly exemplifies the Ottawa County Way,” said John Borgerding, Buildings and Grounds Supervisor. “Jessica always maintains a patient and empathetic attitude and a high level of professionalism. Jessica has been nominated approximately 20 times for this award which further demonstrates how outstanding her customer service is,” said Spencer Ballard, Environmental Health Team Supervisor. Implemented in 2012, the Customer Service initiative is one of the County’s Four C’s, along with Communication, Cultural Intelligence and Creativity. Customers can nominate an Ottawa County employee for an Outstanding Customer Service award at miOttawa.org. This entry was posted in Ottawa County on March 24, 2017 by editor. Yesterday, I had the privilege of joining President Trump, Speaker Ryan, and Financial Services Chairman Jeb Hensarling in the Oval Office for the signing of H.J. Res. 41, my legislation to remove a burdensome provision in Dodd-Frank. This particular regulatory hurdle puts U.S. companies at a disadvantage on the global stage when they are competing against foreign state-owned entities. Prior to the signing of H.J. Res 41, both President Trump and I spoke from the Oval Office. To watch our remarks, click on the picture below. For more information on H.J. Res. 41, click here. Tonight, I am holding a telephone town hall at 7 PM. For those of you who are unfamiliar with this technology, I use telephone town halls to contact thousands of West Michigan residents to hear their concerns and provide an update from Washington. If you haven’t participated in a telephone town hall before, you can sign up here to join the conversation. 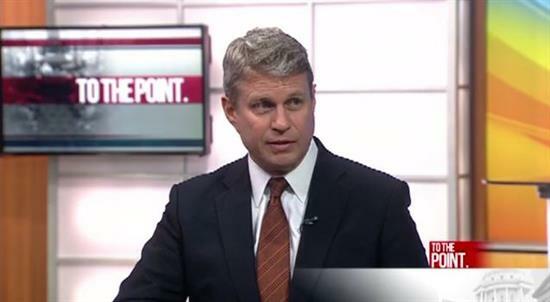 Over the weekend, I joined Rick Albin on “To The Point” to discuss the latest developments in Washington as well as my expanded role as the Chair of the House Capital Markets Subcommittee. To watch the full interview, click the picture below. 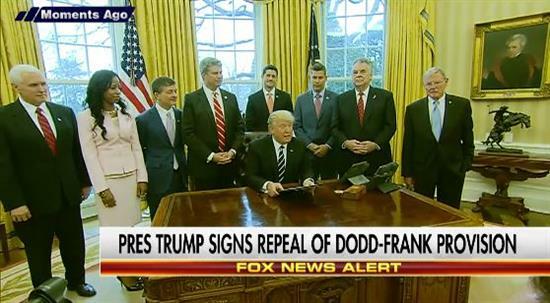 Nearly 7 years ago, President Obama and Democrats in Washington enacted Dodd-Frank under the guise that it would fix what ailed our economy. Since that time, we have learned that Dodd-Frank isn’t the answer and that it’s actually a BIG part of the problem. That is why my colleagues and I are working on a new version of the Republican alternative to Dodd-Frank known as the Financial CHOICE Act. .
As part of our upcoming roll out, we are looking for personal stories to help demonstrate how harmful Dodd-Frank has been. If you lost access to free checking, have found it more difficult to get a reasonable car loan or mortgage, or had to shut the doors to your small business because of Dodd-Frank – please let me know by sharing your story. Some in Washington continue to believe the more regulations we have on the books, the better off our economy is. I for one reject this notion. We need efficient and effective regulations like the Financial CHOICE Act and by sharing your story, you can help make a difference! This entry was posted in US / MI 2nd District - Congress on March 22, 2017 by editor. Book discussions will take place April 5 through May 4 at the library branches, the Muskegon Museum of Art and at the Book Nook and Java Shop in Montague. The Community Read program is organized ahead of an evening with the award winning author Timothy Egan on May 17 at the Frauenthal Theater. A book signing will follow Egan’s program. Tickets are $10. For tickets, visit rauenthal.org/event/author-timothy-egan. Tuesday, March 20 at 6:00pm, come to Hackley Public Library as Mike Johnson, a professor from Muskegon Community College, discusses the Book of Kells. His Master’s Thesis was on the pagan Celtic religious iconography in the illuminated details in the Book of Kells. He will discuss the history of the manuscript, the decorative elements, and how cultures and spiritual beliefs fuse in art. For more information, call (231) 722-7276. Don’t miss the USS Silversides Lecture Series, Mondays in March! March 20, it’s the “When Books Went to War” exhibit opening presentation. One country wants to destroy books. One country wants to share as many books as possible with its citizens. Did this fundamental difference in the desire for an educated population have any impact on WWII or the postwar success of the nations? In their newest exhibit, you will learn just what a difference that made. The exhibit will teach you about the German book burning campaign. It will contrast that with the U.S. drive to collect and circulate books that could be sent to our American warriors to make life at war maybe just a little better. Beyond that, the US recognized an opportunity to improve the education of its citizens and created the GI Bill. They will also have on display a collection of books that were popular during that time. You’re invited to come see who were the literary heroes then and compare that to the role models portrayed in books in circulation today. All lectures begin at 6:00pm. The cost is $5.00 per person or FREE with your USS Silversides Submarine Museum membership. For more information, visit www.silversidesmuseum.org. Enjoy a fun evening and Paint for a Purpose! The cost is $45 per person and includes all materials to create your masterpiece to take home that evening. All funds raised will benefit Every Woman’s Place. This event is limited to the first 80 participants. Call 231-755-3737 to sign up or for more information. Be sure to get there early for a great happy hour menu before you paint! We will make noodles from scratch and show you how to use a Kitchenaid attachment to roll the dough and cut the noodles and how to do it by hand. The sauce will be beef based and guaranteed delicious. Bring your appetite and a container to go. Class size limited to 15. Cost $35. For more information or to register, call (231) 769-2202. “Incoming!” is a NEW SHOW at the Carr-Fles Planetarium, where you can zoom past rocky asteroids and icy comets, all the way to Pluto, and discover how they have changed the course of life on Earth. This free program runs Tuesdays and Thursdays at 7:00pm through March 7. Doors open by 6:45pm and no reservations are needed. The planetarium is in room 135 of Muskegon Community College. For more information, or to schedule a private show for groups of 15-44, please call 231-777-0289 or email tamera.owens@muskegoncc.edu. Wednesday, March 22 from 8:30am-10:30am, come to the Muskegon Innovation Hub and join Cynthia Kay, author of “Small Business For Big Thinkers,” for a relevant conversation providing insights, ideas and experience that can help you to grow your business. A small business is not just a scaled-down version of a big one. In fact, some of the strategies that work well for larger companies may actually be completely irrelevant for smaller firms. Small Business for Big Thinkers offers unconventional but proven strategies to run a better small business. It also provides a roadmap for owners looking to expand their small businesses by doing more business with Big Business. Cynthia’s down-in-the-trenches stories, along with those from other small-business CEOs and Big Business experts, show you how to connect with highly sought-after customers and win them over! Prepare with Funds to Launch and Revenue to Stay Afloat. The cost to attend is $25 and includes a free copy of Cynthia Kay’s book, while supplies last. There will be a book signing following the lecture. Also, when you purchase a ticket to the Creative Conversation, you’ll receive one business week of CoLaunch membership free of charge (one free week per person). For additional information or to register, please visit www.eventbrite.com/e/creative-conversation-with-cynthia-kay-tickets-32415110468. Students in Muskegon Community College’s Visual Art Entrepreneur Degree program are reviving seldom-seen artworks from the college’s permanent collection for an exhibition titled “MCC’s Hidden Gems: Early Works from the Permanent Art Collection,” which runs from March 13 through April 23 in the Overbrook Art Gallery. “Hidden Gems” will focus on works from the collection made before 1990. The oldest of the works, a painting by Pete Caesar, came into the collection in 1965. There are many very fine works that represent the efforts of regional artists and document significant local art history. A public reception is planned for Thursday, March 23, from 3:30pm – 5:00pm in the gallery. For more information, contact Keith Downie at (616) 566-1102 or email keith.downie@muskegoncc.edu. Friday, March 24, come the Alley Door Club for live music with The Crane Wives! Grand Armory Brewing Company is the evening’s craft brew! Doors open at 6:00pm for Happy Hour ($1 off all drinks) and the bands play from 7:00 – 10:00pm. The Alley Door Club is located in The Ballroom at the Frauenthal Center (Hilt Building, 3rd floor). Tickets may be purchased at the Box Office for $8 in advance or purchased at the door, a cash bar is available, valid I.D. required. Tables may be reserved for $55.00 for a 4-top (includes 4 admission tickets) / $80.00 for an 8-top (includes 8 admission tickets). There is a limit of 2 4-tops and 2 8-tops reserved for each performance, sold on a first come basis. For more information, call 231-727-8001. Friday, March 24 and Saturday, March 25 at 7:15pm, come to the L.C. Walker Arena as the Muskegon Lumberjacks take on the Fargo Force! The Muskegon Lumberjacks are proud members of the United States Hockey League, the nations only Tier I junior hockey league and the leading producer of NCAA players and National Hockey League draft picks in the United States. The Lumberjacks’organization prides itself on developing not just premier hockey talent, but also exceptional young men outside the arena of sports. For more information, visit www.muskegonlumberjacks.com. Join talented jewelry artists on Saturday afternoons for the March Workshops at the Red Lotus Gallery! You will want to register for these classes now as they will fill up quickly. $12 per student, materials included. MCA Members $10. In this workshop, students will learn very basic sewing skills, such as how to mend ripped clothing and how to sew on a button that has fallen off. Students are also encouraged to bring small projects that need attention. Students must be registered three days before the date of the workshop. Contact Sabryna at sabrynasnaturalcreations@hotmail.com to register. Saturday, March 25 at 4:00, the Mona Lake Boating Club invites you to “Robert H. Fischer’s 4th Annual Pasta for Paws” fundraising event to benefit the Humane Society and Animal Rescue of Muskegon County! In addition to a delicious spaghetti & meatball dinner, there will be a silent auction, 50/50 raffles, a cash bar and live music by the Swinging Stem Cells. Dinner will be served from 5:00-8:00pm. The auction closes at 8:00pm and the music starts at 9:00pm. Tickets are $10 for adults and $5 for children under 5. For questions or advance tickets, call 231-798-4011 or 231-773-8689. Saturday, March 25 at 7:30pm, come to the Howmet Playhouse for Billy McLaughlin in concert! Billy McLaughlin is recognized internationally as a world-class guitarist, Emmy Award winning composer and inspirational keynote speaker who has appeared on Billboard’s Top-Ten Chart. Previously signed to Virgin Records’ Narada label, McLaughlin has 14 CD releases, 3 National Campus Entertainer of the Year Awards*, 5 Minnesota Music Awards and his decades of national concert touring earned him the Hall of Fame Achievement Award. Now serving as Ambassador for Awareness for the Dystonia Medical Research Foundation, McLaughlin is the winner of the 2010 Public Leadership in Neurology Award whose previous winners include Paul Allen, Julie Andrews, Leon Fleischer, and Michael J. Fox. McLaughlin has resumed an international schedule of concert appearances and keynote speaking. He resides in his home state of Minnesota where he is proudly raising two boys. Tickets are $10 in advance or $15 at the door and are available at Whitehall City Hall, the Arts Council of White Lake or at the door the night of the show. Guitar Fest participants receive one free ticket. This event is part of Guitar Fest. For more information about Guitar Fest, visit the ACWL website at www.artswhitelake.org. Gaelic Storm will perform at the Frauenthal Center Saturday, March 25 at 7:30pm! Tickets are $41 for the limited VIP Meet & Greet. Other tickets are $26 and $21. All tickets are available at the Frauenthal Box Office by calling 231-727-8001 or Star Tickets at 1-800-585-3737. After more than 3,000 live shows including Muskegon’s own Michigan Irish Music Festival, Gaelic Storm the chart topping, muliti national Celtic band is coming to the Frauenthal Center in downtown Muskegon. Gaelic Storm’s music mixes traditional Irish music with modern influences, creating a sound that’s as wide-ranging as the band’s own audience. From bluegrass and country music fans to Deadheads, rock & rollers and Celtic fanatics, Gaelic Storm has built one of the most diverse fan bases in modern music. 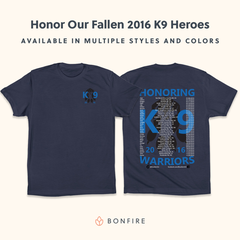 For more information call Kelly Walden at 231-332-4137. Muskegon Community College and the Fr. Phil Legacy Project are hosting a Winter Film Festival at Harbor Cinema! Seven different films will be shown on Sunday afternoons with a pre-film discussion of each. Doors open at the theater at 3:00pm with a pre-film discussion at 3:15pm. Show times will be at 3:30pm. Tickets are $7 each or $42 for the entire series. To purchase tickets, please call (231) 777-0380. Sunday, March 26 will be American Graffiti, a 1973 American coming-of-age comedy-drama film directed and co-written by George Lucas starring Richard Dreyfuss, Ronny Howard, Paul Le Mat, Harrison Ford, Charles Martin Smith, Cindy Williams, Candy Clark, Mackenzie Phillips, Bo Hopkins and Wolfman Jack. Suzanne Somers and Joe Spano have cameos. Set in Modesto, California in 1962, the film is a study of the cruising and rock and roll cultures popular among the post–World War II baby boom generation. The film is told in a series of vignettes, telling the story of a group of teenagers and their adventures over a single evening. The genesis of American Graffiti was in Lucas’ own teenage years in early 1960s Modesto. In 1995, the United States Library of Congress deemed the film “culturally, historically, or aesthetically significant” and selected it for preservation in the National Film Registry. This entry was posted in Calendar of Events on March 21, 2017 by editor. Grand Valley State University announces the names of students who were placed on the dean’s list for the Fall 2016 semester concluding in December. The list includes those students who have maintained a 3.5 grade point average and been enrolled in a minimum of 12 credits. The honor is noted on the students’ official records. Thank you for helping us recognize the achievements of our talented students. It means a great deal to both our students and their families. This entry was posted in College Student Information on March 20, 2017 by editor. On Friday, Jan. 20, Franklin Graham stood on the U.S. Capitol grounds to read a passage of Scripture during the 45th presidential inauguration. In 2016, Graham called the nation to unite in prayer, starting his Decision America Tour in January and traveling to all 50 states. This month, as he took the podium a few minutes after Donald Trump was sworn in as the new president, Graham again called Americans to unite by reading 1 Timothy 2:1-6. Graham’s daughter, Cissie Graham Lynch, also participated in the inauguration by praying on Jan. 19 at a special inauguration prayer event in Washington, D.C., and on Jan. 21 at the 58th presidential inaugural prayer service at the Washington National Cathedral. This entry was posted in Billy Graham on March 19, 2017 by editor. Muskegon, Ml – The Muskegon County Convention &Visitors Bureau (CVB) recently released its 2017 Visitors Guide and Coupon Book, both targeted to visitors outside the area who may be considering this shoreline community as a vacation, meeting, or event destination. The 52-page, full-color guide features attractions like Michigan’s Adventure – the state’s largest amusement and water park, located in Whitehall – and the Muskegon Winter Sports Complex, USS Silversides Submarine Museum, and Muskegon Museum of Art, among many others. Muskegon County’s beaches, festivals and events, hotels, cottages, restaurants, and cultural attractions are also included in the guide. The Muskegon County Discount Coupon Book offers 70 coupons from area restaurants, retailers, golf courses, and attractions. Complimentary copies of both publications are available from the Muskegon County Convention & Visitors Bureau by calling 800-250-9283 (toll-free) or by e-mail at info@visitmuskegon.org. Guides may also be ordered on the home page of the CVB website at www.visitmuskegon.org. This entry was posted in Muskegon County on March 15, 2017 by editor. Please join us for yoga classes at the Fruitport District Library every Thursday evening at 7:00 p.m. The cost is $7.00 per session. If you bring a first time friend the cost for each is $5.00 for that session. Please watch for postings at the library and on the Fruitport District Library’s Facebook page. This entry was posted in Fruitport Library on March 14, 2017 by editor. (MUSKEGON, MI) – The Board of Directors of the United Way of the Lakeshore is pleased to announce $122,000 in grant funding for programs to help ALICE – Asset Limited, Income Constrained, Employed and their families. According to United Way data, over 43% of all households within Muskegon are at or below the ALICE threshold. Goodwill Wheels to Work Planning Grant: Goodwill will lead a collaborative effort with other entities in our United Way Lakeshore region to develop a plan for a program to provide safe, reliable transportation for area ALICE families. It aims to build on the generosity of vehicle donors and working with local social service providers, auto auctions, educational institutions and local mechanics to help empower ALICE families to maintain or gain self-sufficiency and an improved quality of life. Love INC – The Empower Project: The Empower Project will give ALICE families the opportunity to receive education in Money Management skills. The 8-week program offers basic budgeting education with information on banking, insurance, investments, credit reports, money saving tips, and the option for individual mentoring at no cost to families. Additional coaching is also available each week beyond the class setting. Childcare is provided on site for families participating in the program at no cost. The program is incentive-based with rewards for attendance and doing assigned homework. Rewards are based on a point system that allows participants to exchange their points for items in the Resource Rooms that are hosted in two area churches. This allows participants to further stretch their incomes. Read Muskegon – Family Literacy: The program is designed to support low-literacy ALICE families and their 0-5 year old children by offering a menu of literacy support services that include: 1) 1-1 tutoring for low-literacy parents, 2) Weekly small group classes at West Michigan Works!, EXIT, and the Muskegon County Jail aimed at improving functional literacy to build employment and life skills, as well as engage their children in reading, 3) Literacy based play & learn groups for low-literacy parents and their 0-5 year olds, 4) Literacy based ABCs of Cooking, a six unit healthy cooking workshop designed for low-literacy parents and their 0-5 year olds, 5) Monthly family literacy dinners at EXIT for incarcerated fathers participating in the program and their children/family, and 6) Family literacy events that include an annual Holiday Literacy Village. All programs use best practices and evidence-based approaches for working with adult learners. When an individual learns to read, write, and communicate and use computers, they are empowered to increase their income, lower their health care costs, and find sustainable employment – ultimately changing the trajectory of their lives and that of their children. Employee Resource Network: Start-up funds to expand an Employee Resource Network (ERN) in Muskegon. ERNs are private-public consortia with the purpose to improve workforce retention through employee support and training. The companies involved in the pilot include Port City Group (3 locations); CWC Textron; and the Eagle Group. It is important to note that Wesco and Harbor Hospice were already part of this ERN. From the perspective of the State of Michigan, the current ERN-MI expansion efforts have resulted (to date) in 12 Area Networks and 4 Lead Organizations with 41 Strategic Partners, 81 Employers, and 18 Success Coaches. Success coaches meet with employees at the workplace and assist them with a variety of concerns from food assistance, transportation issues to budgeting and emergency loans bringing help right to the workplace. Boys & Girls Club of Muskegon Lakeshore (BGCML) – Project Great Futures: BGCML positively impacts youth in Muskegon and Muskegon Heights with programming aimed at academic success, character and leadership development and developing healthy lifestyles. The Club Experience consists of five key elements: a safe, positive environment; fun and a sense of belonging; supportive relationships; opportunities and expectations; and recognition. United Way funding support will assist the Club in growing and improving the quality of its programming through training of staff and volunteers in order to deepen and sustain our long-term impact on the youth, ages 6-18. The Club’s programming will include: 1. After School Enrichment program for youth during the school year from mid-September thru May (9 months per year). This program is offered Monday through Friday from 3pm-7:30pm at our Nelson Site and Muskegon Heights Public School Academy Site. 2. Summer enrichment programs provided from June- August. This program is offered Monday through Friday from 9am-6pm at our Nelson Site and Muskegon Heights Public School Academy Site. Mission for Area People (MAP): MAP will assist in transportation needs of working ALICE families. MAP will also be working collaboratively with Goodwill Industries on its Wheels to Work program development plan, and will also provide demographic data, while supporting, but not supplanting existing programs aimed at meeting the transportation needs for this economically strained class of workers. El Centro Hispano de Oceana – Emergency Assistance Fund: The Emergency Assistance initiative is designed to provide financial stability to residents of Oceana County who are employed in low-wage positions and who struggle to meet unexpected expenses. Candidates for this program include individuals who are employed full-time, and those employed in the agricultural industry on a seasonal basis. Although the Center primarily serves the Hispanic population, this program will serve all residents who qualify for help. The Center will provide a loan or grant generally under $1,000 to individuals who have exhausted all other funding avenues. The Center will work out a payment plan for the loans. Lastly, the board authorized a grant to Hope Network West Michigan to pay for AmeriCorps tutors in Hope Network’s Michigan Education Corps (MEC) Reading Corps program.. Building a skilled and educated workforce begins with literacy. In Muskegon County, 42% of 2107 kids tested were proficient in reading by third grade (M-Step 2016 assessment). United Way brought the MEC Reading Corps program to our county four years ago and the first pilot preschool program in 2015-16. The program aggressively works to improve literacy among the community’s most underprivileged students. This year United Way funded the expansion of the program. There are currently 19 Americorps service members serving 500 students in PreK – 3rd grade classrooms. Schools are selected to participate in MEC’s Reading Corps based on the need as demonstrated by a) their location, and b) the need expressed by school leaders based on local data. This entry was posted in News Releases on March 13, 2017 by editor. We presently have an almost uninformed, or misinformed America. This includes our government leaders, news people, educators, and the rest of us. Those who knew about the Muslim 30-year plan to conquer America, through immigration into our country, failed to put that information out to the public, or the media didn’t touch it. Being naïve and uninformed is no excuse. All countries are more than justified to ban Muslims from their country because all are endangered. America is no exception, but may be the prime target. America should declare The Muslim Brotherhood a terrorist Group, not because we want to, but because that’s what they are. One can easily see that Islam is not the word from the “ Living God our Creator.” It goes against His Commandments. God’s plan of salvation/heaven is by the blood of his precious Son, Jesus. Theirs is by spilling innocent blood of other humans. Murderers go to Hell in God’s plan. This entry was posted in Manuel Ybarra, Jr. on March 12, 2017 by editor. This entry was posted in Fruitport Township on March 11, 2017 by editor. The chirps of birds. The squeaks of mice. The barks of dogs. In a world full of different sounds, our ears take in almost everything. But it takes more than just our ears to hear. My friend Gail Chermak told me all about it. As an expert in speech and hearing sciences at Washington State University, she offered to give us a little tour of the ear. She said animals with two ears have what scientists call binaural hearing. Binaural hearing helps us pick up sounds that might otherwise be hard to hear with all the noise in the world. Sound that comes at you from two sides is also an advantage when you need to figure out the source of a sound, particularly one that might be a sign of danger. Let’s say you hear a kitten meow. Probably not too dangerous. But before your brain knows that you even heard a meow, the sound travels through the air as vibrations. The vibrations enter through the bendy part of your ear made of cartilage and skin. The vibrations make their way through the waxy ear canal. That is, until they hit a roadblock: the eardrum. It’s a good kind of roadblock, though. The sound strikes the eardrum and it vibrates. When the eardrum vibrates, it actually moves three tiny bones. One of them looks like a stirrup on a horse saddle. The stirrup rocks in and out of a tiny opening that leads into the inner ear. This motion creates vibrations that move along a snail-shaped part of your ear called the cochlea. This is where you start to process things like the high pitch tweet of a bird or the loud barking dog. The signal that came into your ears now moves into your nervous system to translate the sound. Different parts of your brain help you make meaning out of sound. Believe it or not, you are actually using the part of your brain involved in hearing as you read this right now. The part of your brain that helps make meaning out of sound also helps you read. The meow that came into your ear is no longer just a bunch of vibrations. You can understand that it is a meow and where it is coming from. Maybe the cat needs help. Maybe she’s hungry. Or maybe she’s meowing at something that you can’t hear. We cats are pretty good at picking up sounds outside the range of human hearing. The animal kingdom is full of interesting ears. For example, jack rabbits in the desert use special circulation in their tall, thin ears to help them stay cool. Elephants can also use their big, floppy ears to scare away any potential predators. Ears can come in handy for hearing, staying cool, and keeping safe. They also help us with balance. But that’s a question for another time. Keep sending in great science questions. As always, my friends at WSU and I are all ears. 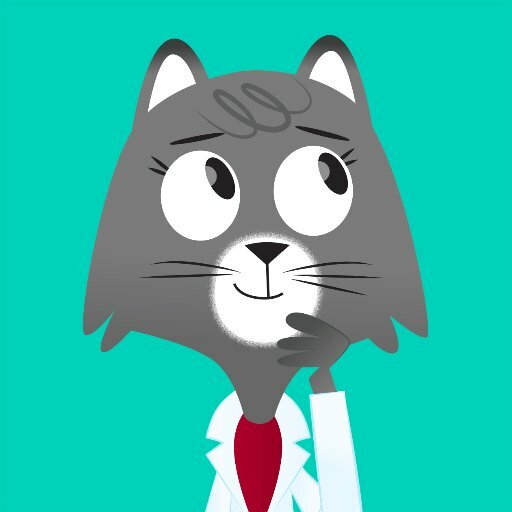 Ask Dr. Universe is a science-education project from Washington State University. Send in your own question at askDrUniverse.wsu.edu/ask. This entry was posted in Dr. Universe on March 11, 2017 by editor. Fruitport District Library Board of Directors has been working to meet two more goals before we can become a “full service” library. The first goal was to be approved membership by the Lakeland Library Cooperative. In January 2017 we sent a resolution to their board asking to be approved. It was granted unanimously. The second goal was to be approved membership to the Lakeland Library ILS. This would give us the large circulation of books our residents have grown accustomed to. In order to be a member of the Lakeland ILS we would need to be approved by the ILS Council and meet the criteria of purchasing 13,598 books that are two years and newer. Today, February 9, 2017 is truly a “HAPPY DAY” as the Lakeland ILS Council not only approved our membership, but also granted us a waiver. The waiver allows us to purchase ½ of the books now and ½ before the end of February 2018. This gives us time to get all the books in the system and relieves the financial burden to our budget. We thank the Spring Lake District Library Board of Directors and their Library Director, Claire Sheridan for helping us through January, February and March. They have informed us that over 300 Fruitport residents have signed up for a Spring Lake Library Card. They report that Fruitport residents have been very courteous and it has been their pleasure to serve us. If you are in the area, you may want to visit the Library in Pomona Park, Village of Fruitport to meet our new library Director, Bethany Nettleton. There is currently a yoga class every Thursday evening at 7 p.m. and a music event. Can you suggest more ways to use the library for community purposes? Muskegon County patrons that are qualified Blind and Physically Handicapped and meet the state requirements can utilize the subregional library for the Blind and Physically Handicapped located at the MADL Administration Building, 4845 Airline Road, as this service receives funding from the State. Those who qualify can pick up their books/media at this address or have them mailed to their homes. The journey to form a community library that will meet the needs of those paying the library tax will be ongoing. We are thankful for the unbelievable support during this District Library establishment period. Many items, including books, computers and time have been donated to help with the opening process. A big thank you to those who are volunteering at the library and for all your donations. Please join us for the monthly District Library meetings at the Fruitport Township Hall the third Wednesday of each month at 5:30 p.m. where we welcome your ideas and input. This entry was posted in Fruitport Library on March 9, 2017 by editor. (MUSKEGON, MI) — At the United Way of the Lakeshore we fight for many working women and men who work hard at low-wage jobs yet can barely make ends meet. They find it nearly impossible to cover even essentials such as food, transportation to and from work, and electric bills. We know them as ALICE – Asset Limited, Income Constrained, Employed. They work in all areas of our economy and throughout our community. This entry was posted in News Releases on March 9, 2017 by editor. 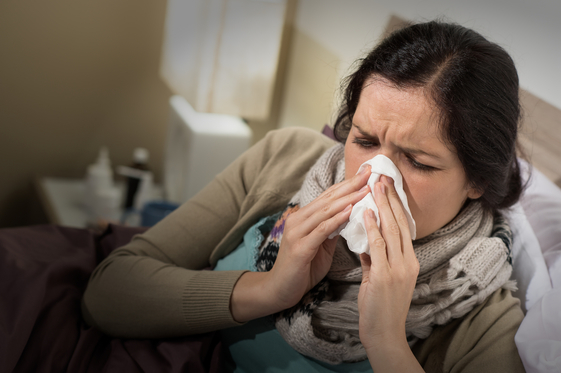 Schools, childcare and healthcare providers are reporting the flu and viral gastroenteritis (“stomach flu”) are circulating in the community and increasing. Stay home when you are sick. If possible, stay home from work, school, and errands if you’ve been vomiting and/or have diarrhea. This will help prevent spreading your illness to others. Cover your mouth and nose with a tissue when coughing or sneezing. It may prevent those around you from getting sick. Most experts believe that flu viruses spread mainly by droplets made when people with flu cough, sneeze or talk. Clean your hands often. It will help protect you from germs. Hand sanitizer is not effective at preventing transmission of some of the most common viral causes of gastroenteritis. Avoid touching your eyes, nose or mouth. Germs are often spread when a person touches a surface or object that is contaminated with germs and then touches his or her eyes, nose or mouth. Stop the spread of germs. When you are sick, avoid preparing food for others. Clean and disinfect surfaces or objects that may be contaminated with germs. This entry was posted in News on March 7, 2017 by editor. The Annual Postcard Salon exhibition and sale showcases the creative talents of West Michigan artists of all ages, from beginners to accomplished professionals. Past years have seen over 1,000 cards on view, and visitors spending hours hunting for favorites. Artists can submit up to five 4 x 6 inch cards in a wide array of media. On March 9, the final night, local art collectors can buy the cards for $30, with proceeds split between the artists and the museum. This is a true community event, so help celebrate the creativity of West Michigan by making, viewing and buying these miniature works of art. Learn how to make your own homemade tortillas that we will use in a delicious traditional Chilaquiles casserole that can be served for breakfast or any meal of the day. Time: 6:30 – 8:30 p.m. Class size limited to 15. Cost $35. For more information, call (231) 769-2202. Tuesday, March 7 at 7:00pm, come to the Book Nook & Java Shop for the White Lake Classical Series, featuring Duo-Pianists, Steve Thielman & Bryan Uecker performing the music of Beethoven, Shostakovich, Corigliano and Milhaud! The cover is $5. Dinner is at 6:15pm with coconut-crusted mahi mahi with pineapple salsa, citrus jasmine rice, vegetable, glass of house wine and leprechaun pie for only $17. RSVP to The Book Nook & Java Shop by calling (231) 894-5333. Raclette literally translates “to scrape” and we will enjoy the French Alp tradition with all the “cow” bells and whistles. See how the French combine cheese, bread, wine and fellowship. Class size limited to 10. Cost $35. For more information or to register, call (231) 769-2202. Thursday, March 9 and Friday, March 10 at 7:15pm, come to the L.C. Walker Arena as the Muskegon Lumberjacks take on the Bloomington Thunder! The Muskegon Lumberjacks are proud members of the United States Hockey League, the nations only Tier I junior hockey league and the leading producer of NCAA players and National Hockey League draft picks in the United States. The Lumberjacks’organization prides itself on developing not just premier hockey talent, but also exceptional young men outside the arena of sports. For more information, visit www.muskegonlumberjacks.com. The Muskegon Home, Garden + DIY Show is returning to Fricano’s Event Center March 10 – 11! This popular show will feature over 40 exhibitors displaying everything from windows, siding, gutters and paint to home décor, furniture, landscaping and much more! Back by popular demand is the Do It Yourself and Educational seminars that highlight floral design, furniture refurbishing, backsplash tiling, gardening and more! In addition to exhibitors and seminars, the home show will provide fun kids activities, thousands of dollars’ worth of prizes and discounted Fricano’s Pizza with the purchase of your $3 home show admission ticket. Kids 12 and under are free. Tickets will go on sale February 1, 2017. Those interested in applying to exhibit are encouraged to visit www.muskegonhgs.com. Limited sponsorship opportunities are also available. For sponsorships or additional information about the show, contact Carla Flanders at 231-724-3176 or cflanders@muskegon.org. March 10 at 7:00pm and March 11 at 2:00pm and 7:00pm, bring the family to the Beardsley Theater for “Charlotte’s Web the Musical!” Experience the fun and exciting adventures of Wilbur the pig and his barnyard friends as they discover lessons in love, friendship and self-sacrifice. This is a family fun show with fun characters, music and dancing. Tickets go on sale January 13, 2017. For more information, visit www.frauenthal.org. Friday, March 10, come the Alley Door Club for live music with The Carl Webb Band! Vandermill Cider is the evening’s craft brew! Doors open at 6:00pm for Happy Hour ($1 off all drinks) and the bands play from 7:00 – 10:00pm. The Alley Door Club is located in The Ballroom at the Frauenthal Center (Hilt Building, 3rd floor). Tickets may be purchased at the Box Office for $8 in advance or purchased at the door, a cash bar is available, valid I.D. required. Tables may be reserved for $55.00 for a 4-top (includes 4 admission tickets) / $80.00 for an 8-top (includes 8 admission tickets). There is a limit of 2 4-tops and 2 8-tops reserved for each performance, sold on a first come basis. For more information, call 231-727-8001. Friday, March 10 at 7:30pm, come to the Frauenthal Theater as the West Michigan Symphony Presents “Classical Music for Everyone” with conductor Scott Speck. Based on the book Classical Music for Dummies, written by Speck and David Pogue, this concert covers the history of classical music, ranging from medieval to the music of today. Composers include Monteverdi, Mozart, Brahms, Wagner, Copland and more. Spiralizer surprises from apples to “zoodles” (zucchini noodles). Sometimes, just cutting your fruits and vegetables in a new way will make produce a little more interesting and fun to eat. Basic knife skills will be covered in this class along with instruction on other handy kitchen gadgets that make vegetable and fruit chopping simple. We will then sautee our produce creations in healthy recipes using our own sauce creations and fresh herbs. Kids Class ages 7-15. Cost $25. Class size limited to 15. Celebrate Dr. Seuss’ birthday with a delicious breakfast of green eggs and ham, Saturday, March 11 from 10:00am-11:30am at the Greater Muskegon Woman’s Club! The Cat in the Hat and some friends will be there for autographs and to read a book. Each child will go home with a Dr. Seuss book of their choice. Walk-ins are welcome as space allows, but the event often sells out. Call Gavonnie at 231-747-7911 for reservations. Saturday, March 11 from 10:00am – 3:00pm, bring the family to the Muskegon Museum of Art for a “Balloons Super Saturday!” This free family fun day is centered on inflatable art, including balloon animals and the film Up! Super Saturday free admission and activities are underwritten by MMA Education Partner Arconic/Whitehall Operations. For more information call 231-720-2570. Saturday, March 11 from 12:00-4:00pm, come to the Lakes Mall to start off the new year with a healthy lifestyle and a generous heart by taking part in Mercy Health’s cycling event, The Ride! This is an indoor, stationary bike race that’s been happening in Norton Shores since 2005. Over the past 12 years, the Ride has raised over $480,000 to support Heart and Vascular Services at Mercy Health Muskegon. Registration cost is $400 per team or $200 for youth teams. If cycling isn’t for you, they’re still looking for people to volunteer, sponsor a rider or team or just stop by The Lakes Mall to cheer on the cyclists. The registration deadline for riders and sponsors is February 20. For more information, call 231-672-6976. March 11 at 7:30pm, come to The Block for the jazz guitar duo of Frank Vignola & Vinny Raniolo! Frank Vignola is one of the most extraordinary guitarists performing before the public today. Doors and bar open at 6:45pm. Tickets are $25 and up. Student tickets are $10. For more information, call 231-726-3231 . The 5th annual Howl n’ Blues Concert Series for this winter is titled “HOT BLUES”! March 12, it’s the Out of Favor Boys! Concerts take place at the Watermark 920 the second Sunday of each month from 2:00-5:00pm to raise awareness and donations for the PoundBuddies animal shelter. There’ll be a cash bar, food, 50/50 raffles, dancing, and good times…guaranteed! Tickets are only $15 and include a raffle ticket. 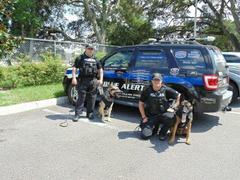 For more information find “Howl n’ Blues” on Facebook. This entry was posted in Calendar of Events on March 7, 2017 by editor. Blow Up features works by artists who use air as a sculptural medium. 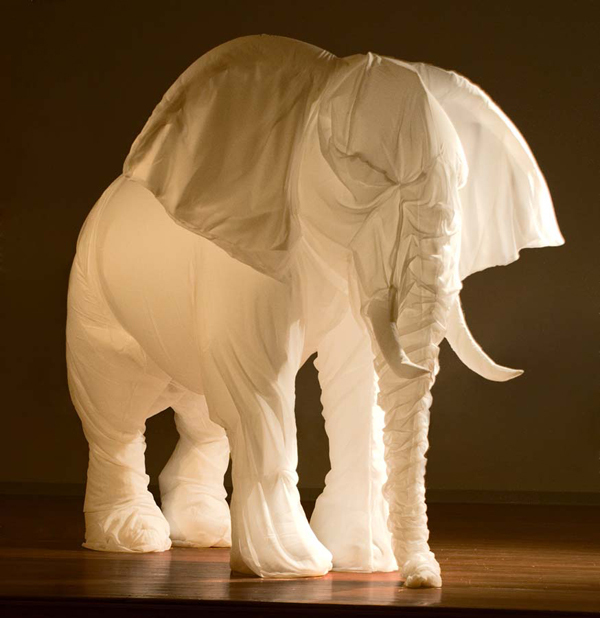 While inflatable objects are typically associated with advertising, children’s entertainment or holiday decorations, the format has been appropriated by a diverse group of artists to explore complex subjects such as identity, materialism, and war. Playing with scale, color, and the inherent light-heartedness of balloons, the selected artists produce a wide variety of sculptural forms from Lewis deSoto’s Sleeping Buddha to Claire Ashley’s colorful abstract shapes. 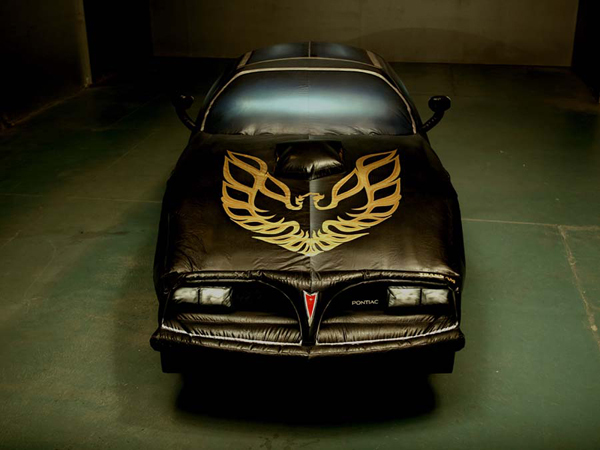 This traveling exhibition includes major works by Claire Ashley (Chicago), Lewis deSoto (Napa), Patrick Flibotte (New York), Billie Grace Lynn (Miami), Guy Overfelt (San Francisco), Momoyo Torimitsu (Tokyo), and Christo and Jean-Claude. After its appearance in Muskegon, Blow Up will travel to the Loveland Museum in Colorado, where it will appear throughout the summer. Blow Up: Inflatable Contemporary Art was organized by Carrie Lederer, Curator of Exhibition, Bedford Gallery, Lesher Center for the Arts, Walnut Creek, CA. The exhibition was made possible by a grant from the National Endowment for the Arts. It is locally underwritten by the DTE Energy Foundation. Additional support has been provided by WGVU Public Media and the Michigan Council for Arts and Cultural Affairs. Free family fun day centered on inflatable art, including balloon animals and the film Up! Super Saturday free admission and activities are underwritten by MMA Education Partner Arconic/Whitehall Operations. The Muskegon Museum of Art is located at 296 W. Webster Ave. in Muskegon, Michigan. Go to www.muskegonartmuseum.org for visitor information or call 231.720.2570. This entry was posted in Calendar of Events on March 6, 2017 by editor. 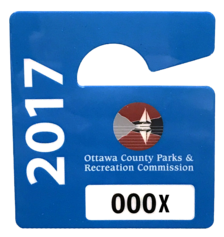 2017 Ottawa County Parks Passes Available! It’s cold today, let’s take a break to think about future beach days! Of the 38 parks and open spaces in the Ottawa County Parks system, only five require a parking fee during the summer season and a sixth requires a boat launch fee. Parking fees are collected at North Beach Park, Kirk Park, Tunnel Park, Olive Shores and Rosy Mound Natural Area from Memorial Day weekend through Labor Day. A boat launch fee is collected at Riverside Park from May 1 through Labor Day. An annual motor vehicle permit is an economical choice for frequent visitors or launch users. Annual permits may be purchased at park entrance gates when fees are in effect (limited annual permit sales available at Rosy Mound and Olive Shores trail heads when park attendant present; day passes always available), at the Nature Education Center or from the county parks office. Boat launch permits can be purchased at the Oaklea Store, near Riverside Park. Park users are invited to attend a free open house before the summer season at the newly renovated Kirk Park Lodge on May 6 from 2-5 pm. The lodge is available to rent for events in the summer and for organized groups to rent for overnights in the off-season. Park passes will be available for pre-sale at the open house. “We encourage park users to buy their passes early, so the lines move quicker on nice summer days,” said Parks spokesperson Jessica VanGinhoven. Wondering why Ottawa County Parks charges fees at the lakeshore parks and boat launch? *Only one additional multi-vehicle permit will be issued per family. Residents only. **Hang tags are new in 2017! These are great options for families with multiple vehicles, rental cars, or anyone hosting guests in the summer months. They do not affix to the windshield like permits do, but they must be displayed in the vehicle when the vehicle is at the park. Residents only. Please note that a Michigan State Recreation Passport is not valid at Ottawa County Parks. This entry was posted in Ottawa County on March 4, 2017 by editor. This past Friday, our nation continued the storied tradition that has become a staple of American democracy – the peaceful transition of power. I look forward to working with President Trump and Vice President Pence to strengthen our economy, end the “Washington knows best” mentality, and make it easier for hardworking families and small businesses across West Michigan to succeed. It was great to have so many West Michigan residents join in the inauguration festivities. For a behind the scenes look at Inauguration Day be sure to check out my Facebook page! ObamaCare is failing and will soon collapse under its own weight, which is why we must leave behind this failed policy and promote solutions that empower patients and care providers. On January 13th, I voted to instruct the House to begin the step by step process of repealing and replacing ObamaCare. It’s important to remember that patient protections such as those preventing insurance companies from excluding coverage due to pre-existing conditions or dropping consumers because of costs associated with long-term care are not exclusive to ObamaCare. I am determined to strengthen these important protections as House Republicans have in the “Better Way” proposal, while also increasing access to quality care and delivering on lowering costs for families here in West Michigan and across the nation. One of President Trump’s first actions was to reinstate a policy originally enacted by President Reagan that prevents U.S. foreign aid dollars from paying for or promoting abortions. On Tuesday, I voted in support of legislation to ban taxpayer dollars from paying for an abortion as well as preventing taxpayer subsidies from being used to purchase insurance through ObamaCare that covers abortion. Traditionally, measures which prevent taxpayer dollars from being used to perform abortions have garnered bipartisan support. However, liberals in Washington have recently made it their mission to eliminate these longstanding protections. 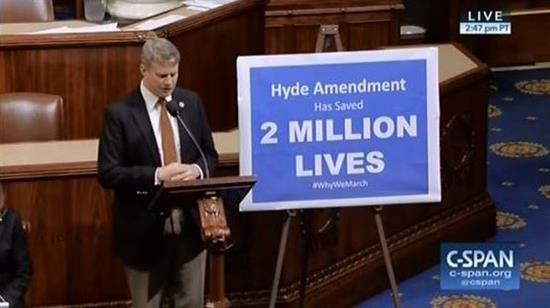 Prohibiting taxpayer dollars from being used to end the lives of unborn children should not be a partisan position. After Tuesday’s vote, I spoke on the House floor and called on Congress to go further in protecting the life of the unborn. To watch my floor speech click the picture below. Financial Services Update: New Subcommittee! I am excited to announce that for the 115th Congress, I will be chairing the Capital Markets Subcommittee! The responsibility of the subcommittee is to ensure that our capital markets are diverse and highly efficient while helping to facilitate capital formation. Companies use the capital markets to manage their balance sheets, which means that companies are deploying their cash in smart ways such as reinvesting in the marketplace in order to create jobs versus having the money just sitting in a bank vault somewhere. Additionally, individual investors use the capital markets to invest in such things as retirement accounts and college 529 savings plans. The goal of the subcommittee is to ensure a safe, healthy, effective, and efficient return on investments with the goal of helping to grow the economy. You can learn more about the Capital Markets Subcommittee by clicking here. Earlier this month, my colleagues selected me to Co-Chair the Great Lakes Task Force for the 115th Congress. The Great Lakes Task Force has been at the forefront of the effort to enhance the environmental health of the Great Lakes while also ensuring the full economic potential of the Great Lakes region is realized. I am excited about this new opportunity and building on my bipartisan record of preserving and strengthening the Great Lakes. 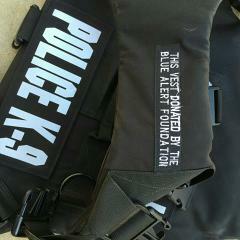 To learn more about the task force click here. This entry was posted in US / MI 2nd District - Congress on March 2, 2017 by editor.